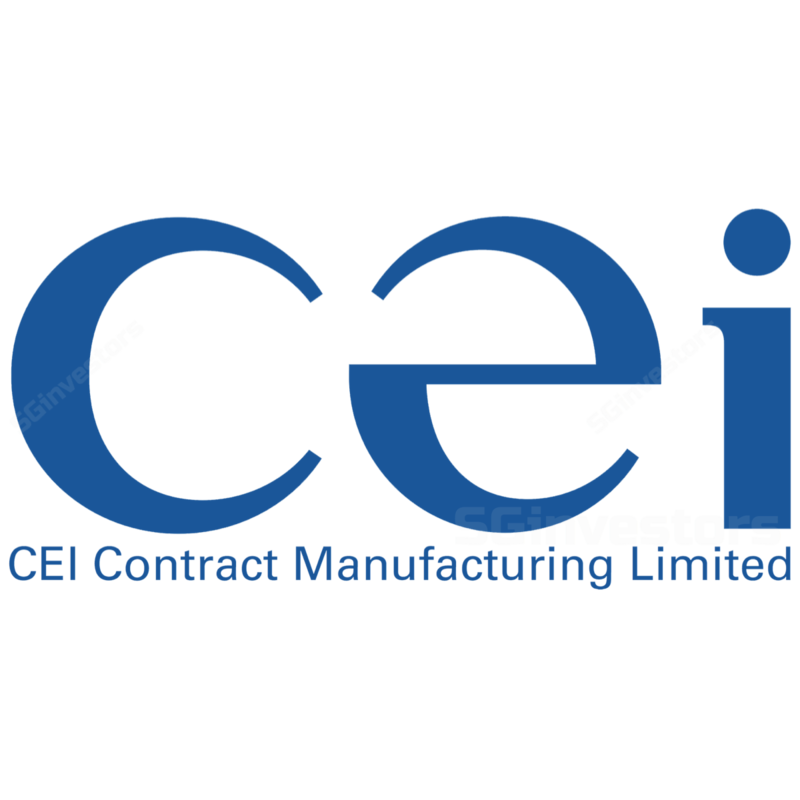 CEI Limited's 1H17 results reported on 4 Aug 17 saw a 23% yoy decline in net profit to S$3.6m due to a 2.1% yoy decline in sales and a 10% rise in operating expenses. Interim DPS of 1.04 Scts and special DPS of 3.00 Scts were declared. Dividend payout ratio in 1H17 was 97%. Balance sheet remains strong with net cash of S$5.8m at end Jun-17. We update our forecasts (last update was 13 Feb 17) to reflect the weaker revenue performance and higher operating expenses. Maintain Add with lower target price of S$1.08 (9.74x P/E, 10-year average). CEI reported its 1H17 results on 4 Aug 17. Revenue fell 2.1% yoy to S$67.5m while gross profit fell 1.6% yoy to S$16.1m. The gross profit margin in 1H17 was 23.9% versus 23.8% in 1H16. Operating expenses grew 10% yoy, leading to a 24% yoy decline in operating profit to S$4.2m. Interest expenses fell 72% yoy while associates reported a 16% yoy improvement in profit. Net profit fell 23% yoy to S$3.6m. CEI's balance sheet remains strong, with a net cash position at end-June 17 of S$5.8m versus S$9.2m at end-Dec 16. CEI pared down its debt position to S$2.0m at end-Jun 17 from S$2.5m at end Dec-16. An interim DPS of 1.04 Scts (1H16: 1.04 Scts) and a special DPS of 3.00 Scts (1H16: 3.76 Scts) were declared for 1H17. CEI’s dividend payout ratio for 1H17 was 97% versus 89% for 1H16. CEI guided that the group expects to remain profitable in FY17F. As at end-Jun 17, CEI had an order book of S$53.1m, which was expected to be fulfilled by end-Dec 17 (order book at end-Dec 16 was S$46.8m). CEI has minimal capex as the group’s utilisation rate hovered in the 60-65% range, according to management estimates. 1H17 capex was a negligible S$275,000. Management does not see full-year capex exceeding S$1m. Given its limited capex needs, we have raised our dividend payout assumption to 90% from 80% previously. We note that the dividend payout ratio was 97% in 1H17. CEI guided that the increase in operating expenses in 1H17 was to support the higher order book for 2H17F. As at end-Jun 17, CEI had an order book of S$53.1m, which was expected to be fulfilled by end-Dec 17 (order book at end-Dec 16 was S$46.8m). Customer A reported a 3.2% yoy increase in 1Q17 revenue. For FY17, customer A is guiding for GAAP EPS to grow by 1.9-6.6% yoy. Customer B reported a 4% yoy rise in revenue for 2Q17. As at 20 Aug 2017, Bloomberg consensus expects customer B to report a 4.9% yoy revenue jump and a 10.5% yoy gain in GAAP EPS for FY17. Customer C is not listed, hence no financial data is available. Customer D reported 10% yoy revenue growth and a 13% yoy increase in adjusted EPS when it announced its 2Q17 earnings on 26 Jul 17. Customer D has revised its FY17 guidance upwards. It now expects FY17 revenue to be in the range of US$19.71-19.89m (previously US$19.51-19.71m) and adjusted EPS to be in the range of US$9.15-9.28 (previously US$9.12-9.28). The revised guidance for FY17 translates into 8-9% yoy revenue growth and 11-12% yoy adjusted EPS growth. Customer E is not listed, hence no financial data is available. On 22 Mar 2017, TIH Limited announced that it was aware that there were ongoing discussions on a potential transaction involving a change of control at the company. There is no assurance that such discussions will result in any transaction. As far as TIH is aware, the structure of such a transaction, if entered into, is subject to regulatory approval, which is in the process of being applied for. On 18 Aug 2017, TIH Limited updated shareholders that the discussions were still in progress and there was no certainty or assurance whatsoever that these discussions would result in any transaction. A change of shareholdings at TIH Limited may also trigger changes to the ownership structure at CEI. TIHT Investment Holdings Pte Ltd (a subsidiary of TIH Limited) has a 9.04% stake in CEI. CEI’s two other major shareholders are Mr Tien Sing Cheong, Executive Chairman of CEI (10% stake), and Mr Tan Ka Huat, Managing Director (4.58% stake). Mr Tien is about 68 years of age while Mr Tan is approximately 64 years old. Neither Mr Tien nor Mr Tan has any family members involved in CEI. We update our forecasts (our last report was on 13 Feb 17 - CEI Limited: Rewarding Share Holders) to reflect the revenue decline in 1H17 and the higher operating expense run rate. With limited capex needs (management estimated utilisation rate to be in the 60-65% range for 1H17), we raise our dividend payout ratio assumption to 90% from 80% previously. We note that, in 1H17, the dividend payout ratio was 97%. We now value CEI at its 10-year historical average forward P/E of 9.74x versus its 9-year historical average forward P/E of 9.2x previously. Our target price is lowered to S$1.08. Maintain Add. Potential catalysts are new order wins and a stronger US$. Downside risks are a further slowdown in customer orders and a weaker US$.